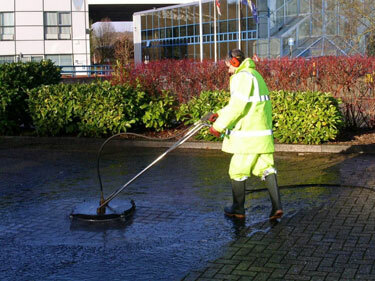 We are specialists in external pressure cleaning and regeneration using pressure washer and jet washing equipment. 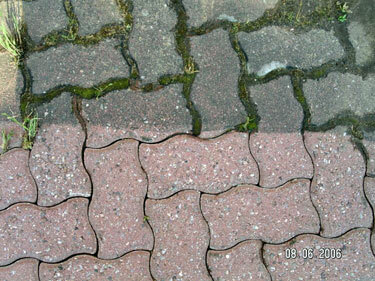 Surfaces that we power wash include; roadways, paving, stone, masonry, brickwork, concrete, block paving and more. Using high pressure industrial jet washing we can also remove Moss, Mould, Mildew & Green Algae from the above and other surfaces. Using specialty pressure sprayers and pumps we can remove just about any ground in grime for any exterior surface. Contact us now and Let our team of power washers rejuvenate your car park, business or retail park! Images Copyright Cleansweep Services Ltd 2000-2012. All rights reserved. Copyright Cleansweep Services Ltd 2000-2012. All rights reserved. Reproduction of images, text and content of this website strictly forbidden.